Search and Rescue GPS's and Maps - "so that others may live"
This translator only works with Microsoft Internet Explorer and the Firefox Web Browsers. The Translator takes about 30 seconds to activate. It will travel with you from page to page. Each page if it has a translator will take about 30 seconds to activate. BROKEN MAGELLAN EXPLORIST 110 310 OR GC SCREEN - REPLACE IT WITH A NEW 6/2013 RELEASE. YES, We have a supply of the NEW JUST RELEASED TRANSFLECTIVE (6/2013) HI-BRIGHTNESS HI-CONTRAST REDUCED GLARE QVGA TOUCHSCREEN Displays for the Explorist GC - 110 - 310 units. OUR REPLACEMENT SCREEN IS BETTER THAN THE ONE YOU CURRENTLY HAD IN YOUR X10. OUR REPLACEMENT HAS A BETTER BRIGHTNESS AND CLARITY IN SUNLIGHT, HIGHER CONTRAST AND FASTER RESPONSE TIME. Consider Purchasing the Professional Freshwater Fishing Hot Spots PRO (Over 4000 Lakes) or the Professional Version of the Kirsch Hunting Trax Maps. Want Us to ADD to Your GPS We Also Offer The Latest PROFESSIONAL VERSION OF THE KIRSCH HUNTING TRAX DIGITAL MAPS For The State Of Your Choice? The Cost is Just $35.00 for each State. 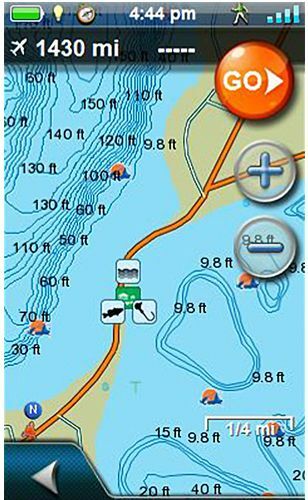 We Offer The Latest PROFESSIONAL VERSION of the Fishing Hot Spots® Pro USA .. WITH OVER 4000 FISHING HOT SPOT USA LAKES. Here are some Testimonials from Fishing Hot Spots Website Customers. America’s preferred fishing maps. Accurate and detailed fishing information for 4000 US lakes provides anglers with tactics and locations that catch fish. Whether you are fishing a lake for the first time, or have been on it your whole life, our products will make your time on the water more rewarding. 4000 FISHING HOT SPOT® PRO USA is a $115.99 Value. See a list of the Lakes in this package by clicking here. Fishing Hot Spots PRO® America's Preferred Fishing Map™. Accurate and detailed fishing maps with information for hundreds of Premier US lakes provides anglers with tactics and locations that catch fish! Whether you are fishing a lake for the first time, or have been on it your whole life, make your time on the water more rewarding with valuable insider information. We Also Offer The Latest PROFESSIONAL VERSION OF THE KIRSCH HUNTING TRAX DIGITAL MAPS For The Each State Of Your Choice. NEED MORE THAN ONE STATE HUNTING TRAX MAP ON YOUR 310 .. JUST EMAIL US FOR OUR SPECIAL DISCOUNTED PRICE. HOWEVER, FOR THIS LISTING WE ARE ONLY OFFERING ONE STATE MAP. The TRAX series of maps is changing the way sportsmen in North Dakota, Minnesota, Montana, Wyoming, New Mexico, Arizona, Utah, Idaho, Colorado, Nevada, Washington, and Oregon use their GPS units. This Kirsch Hunting Trax Software is a $99.99 Value. 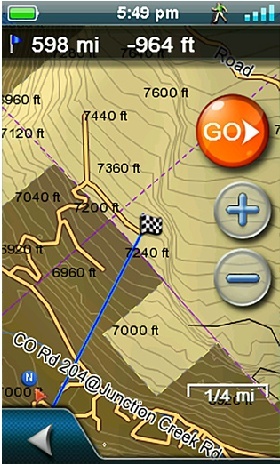 TRAX maps are an all-around sportsmen's map combining the feature sets of a BLM map, Forest service map, Game and Fish map, and other maps sets into one. 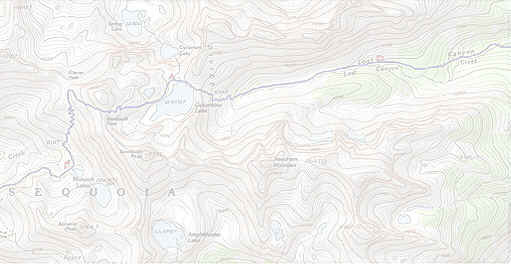 The maps work on the eXplorist and provide real-time mapping data critical to outdoor activities. FOR REPAIR YOU MUST FIRST PURCHASE A "SERVICE TICKET" BY PLACING AN ORDER HERE. AFTER YOU PURCHASE YOUR "SERVICE TICKET" WE WILL SEND YOU INSTRUCTIONS FOR PACKAGING AND MAILING YOUR UNIT TO US FOR SERVICE. NOTE: OUR SHIPPING INSTRUCTIONS WILL EMPHASIZE THAT WE DO NOT WISH YOU TO SEND US THE GPS UNIT IN ITS RETAIL BOX. WE WILL BE RETURNING THE UNIT TO YOU USING USPS PRIORITY MAIL. THIS TYPE OF PACKAGING DOES NOT ALLOW ENOUGH ROOM TO INCLUDE THE RETAIL BOX. We are the proven experts with the new Magellan Explorist GPS Series. - We have our own software development team and guarantee your satisfactory or your moneys are refunded except for the return UPS ground shipment. Free Online Assistance - Want to chat with someone about your problem? We provide FREE online technical assistance. Accessories - We don't require any accessories that came with your unit. We have all the parts to do the repair. Repair Guarantee Payment Options - We accept PayPAL only for repairs. Should we fail to repair your unit we will issue you a full refund for the repair costs. However; postage to return the unit to you shall be at your expense. Shipping - All shipments are returned by USPS Priority Mail and are insured. We only accept mail in repairs.